After rested for a week, my first steam for the Year of Goat on the 7th day of the Lunar New Year also known as 人日 (Human’s birthday) in the Lunar Calendar: Japanese Cotton Cheesecake (Steamed) with Lemon Curd. 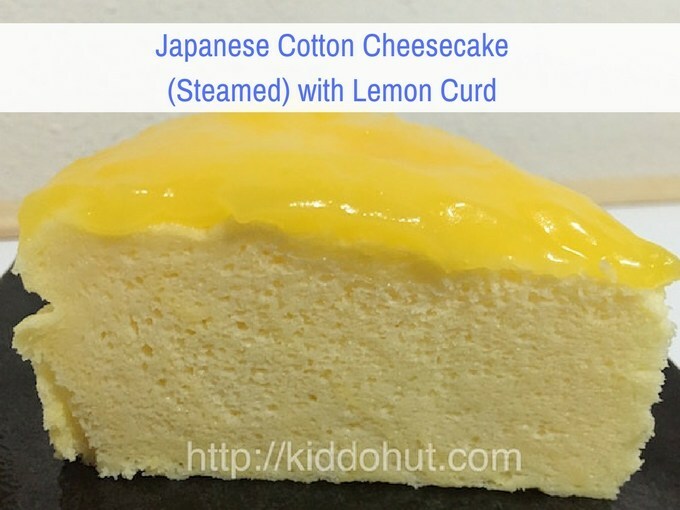 Yes, this Japanese Cotton Cheesecake is not baked. Instead, it is steamed. I would say, this is a baked recipe. 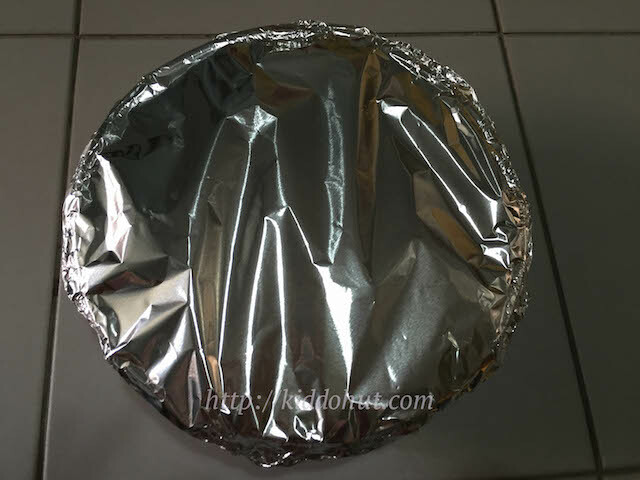 Since I do not have an oven yet, I steamed it by creating the hot air circulation within the tin using the aluminium foil covering tightly over the tin. Surprisingly, the result was good. The texture was cottony soft and the taste was similar to an oven-baked one except no browning on the top. 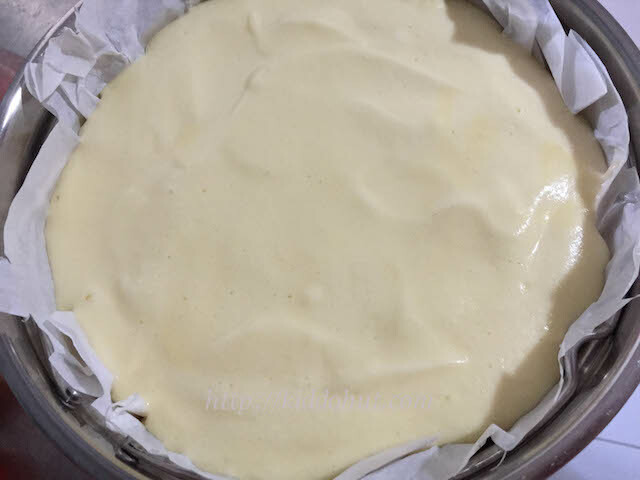 There are many such Cheesecake recipes around and the more popular one seems to be the Fantastic Cheesecake recipe by Alex Goh. So, I adapted that and made some changes to the recipe and method. Of course, mine is steamed and his is baked. Added on the Lemon Curd topping, giving the Cheesecake an extra texture and taste. Sweet and sour combination is simply superb! Most importantly, both the Cheesecake and Lemon Curd are very easy to make. 1. Line the bottom and side of the tin with parchment paper. Prepare the steamer. 2. 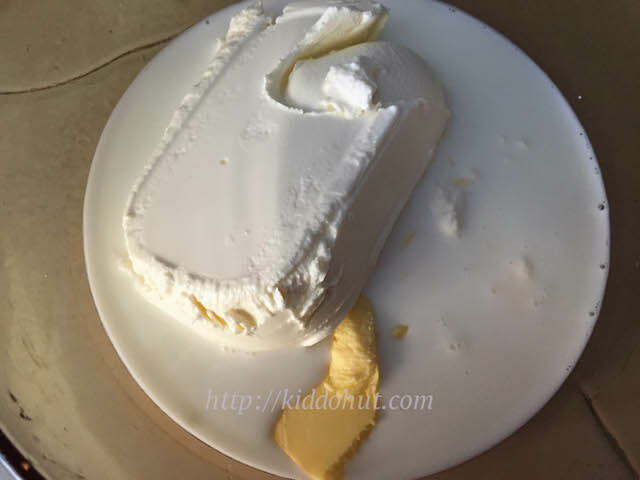 Place cream cheese, butter and milk in pot and heat under low heat. Stir constantly to prevent burnt at the bottom. Stir until the mixture becomes creamy. Off heat. 3. Strain the mixture through sieve to remove small lumps. Leave to cool. 4. 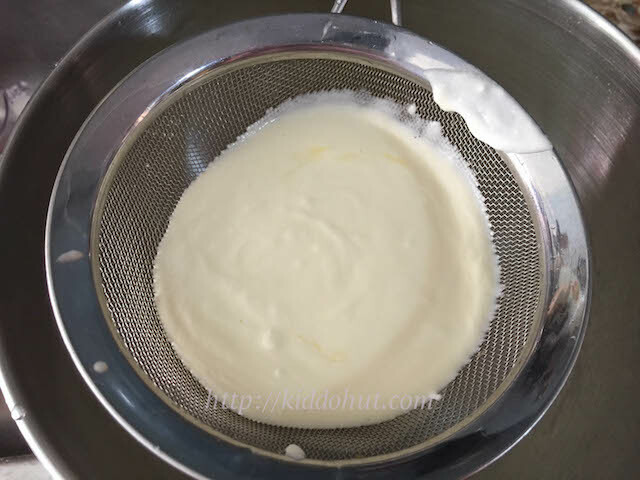 Sift the cake flour and corn flour into the cheese mixture. Hand whisk till well combined and do not over-whisk it. 5. 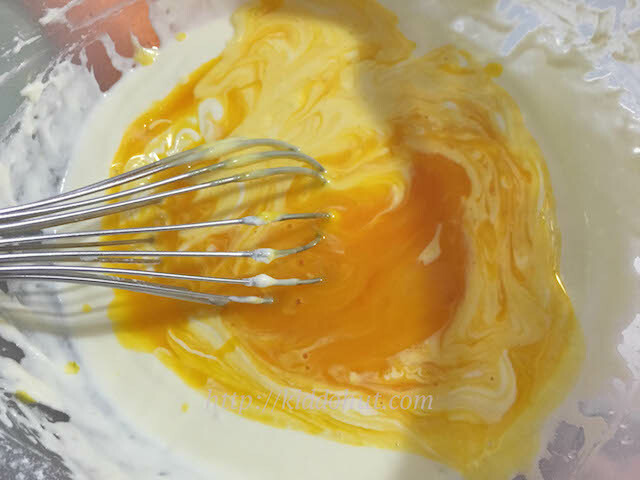 Add in the egg yolks and hand whisk till well combined but do not over-whisk it. 6. 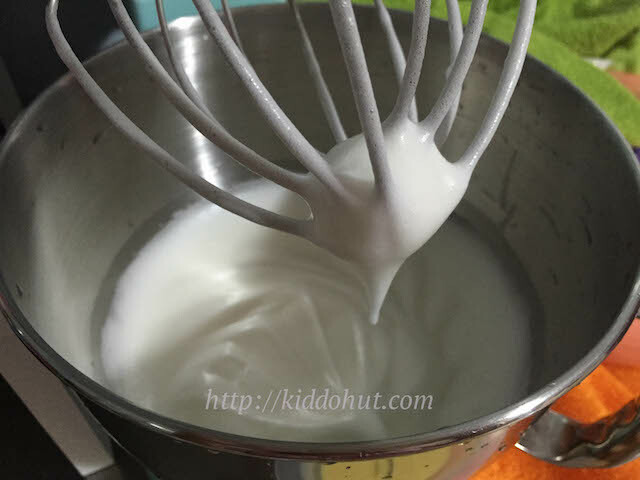 Whisk the egg whites using mixer until foamy. Add in sugar gradually and continue to whisk until soft peak. Do not whip till stiff peak. 7. 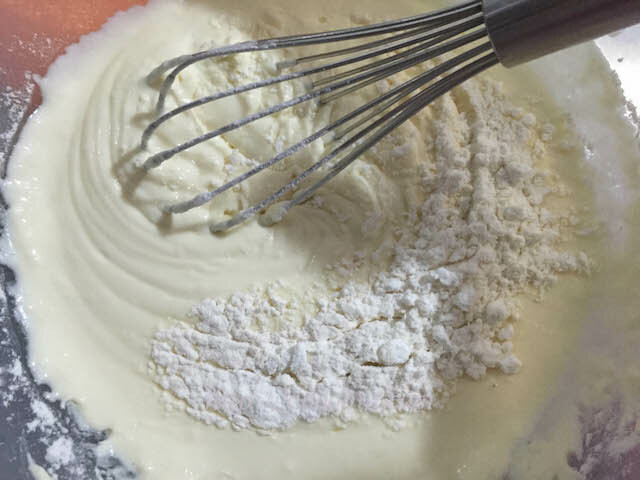 Fold in the egg whites into the cheese mixture gently in 3 separate additions. 8. Pour the batter into the tin, 1/2-3/4 filled to allow cake to rise during steaming. Knock few times to get rid of the air bubbles, if necessary. 9. Cover the tin with aluminium foil. I used 2 layers of foil. Put the tin into the steamer. The water level should be 1/4 or lower of the tin. Steam under low heat for 45 minutes. Do ensure the water is not bubbling until the water enters into the tin. 10. Insert the skewer through the aluminium foil into the cake and pull the skewer out to check if the cake is cooked. If the skewer comes out clean, it is cooked. Off heat, and let the cake sits in for 15 minutes. Remove cake from tin and let it cool on a wire rack. Top with some lemon curd then chill in refrigerator before serve. 1. Beat the eggs lightly until well mix. Add sugar and hand whisk till well combined. 2. Add coconut oil or butter, and lemon juice. Hand whisk till well combined. 3. 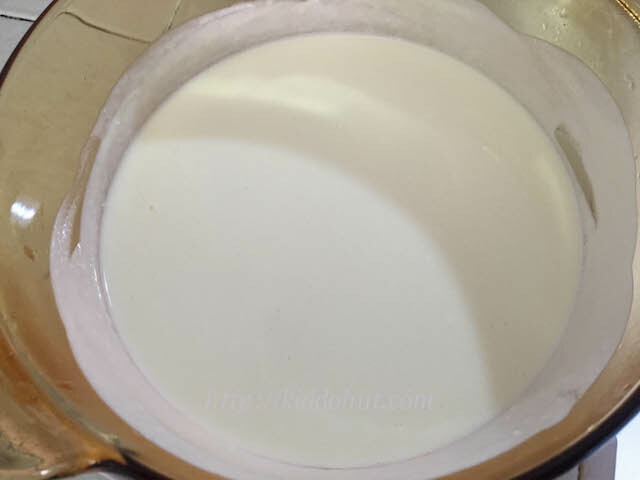 Transfer to a bowl and double boil under low heat until thick and creamy. 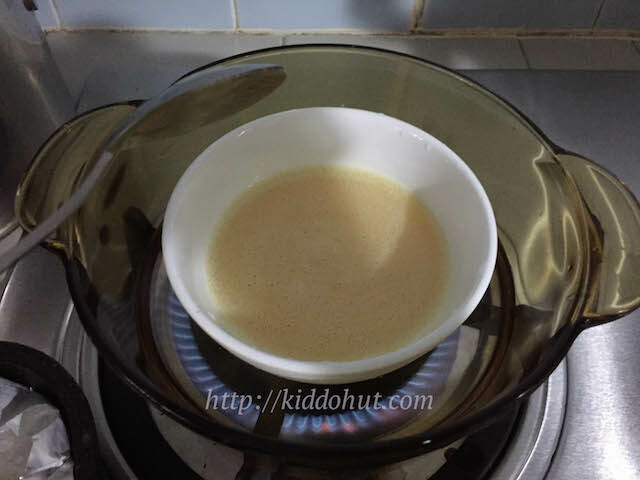 Stir continuously while double boiling. 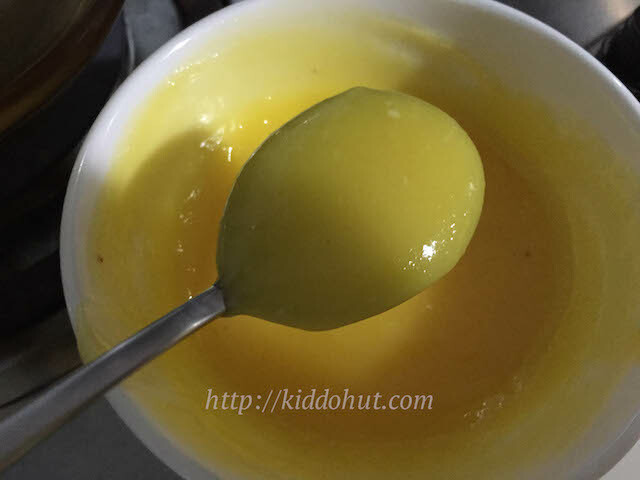 Store balance lemon curd in the refrigerator to use as topping, filling, spread or add into your yogurt. Tried this yesterday! And it was yummy! My boyfriend loves it! Thank you.! The taste is good. However my cake rise well when steaming but shrink after it is cool. Any reason for that? It will usually shrink a little after cool down. Firstly, please ensure you steam using low heat. After you check that the cake is done, use the toothpick and poke few holes through the aluminium foil before letting the cake sits inside the steamer for 15 minutes before removing from tin. I see, thats a good tip. Thanks for your reply. Hi. I am going to try your recipe today but I couldn’t find a corn flour. Can I substitute it with cornstarch instead? 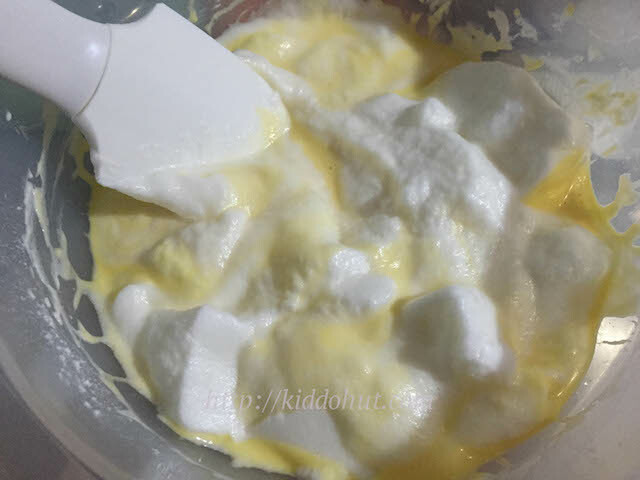 Corn flour and cornstarch are the same although the earlier is more starchy. You can try the proportion as I havent tried the replacement yet.